Loan companies â€“ instant business loans obtained from loan companies that operate online peer-to-peer lending platforms give online sellers unprecedented quick access to the funds they need to operate and grow their operations. 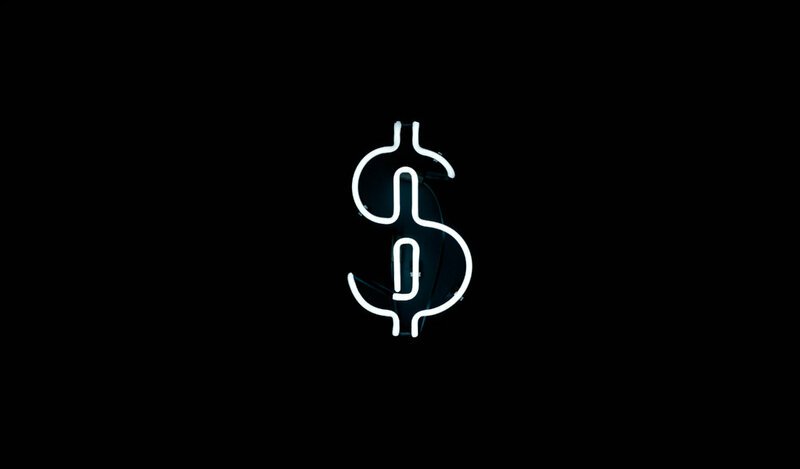 Traditional loan companiescanâ€™t or wonâ€™t take into account sales revenues earned through an e-commerce platform such as Amazon, eBay, or Etsy, which handicaps online sellers looking for financing. With the advent of peer-to-peer lending and crowdsourcing, the inherent biases and stringent approval requirements of traditional loan companies no longer make it difficult or even impossible for online sellers to obtain financing. Peer-to-peer lenders have the ability to assess an applicantâ€™s online sales history to verify income and even take into account the sellerâ€™s online reputation. The instant business loans they offer open up a new and increasingly popular avenue for online sellers to obtain funds to finance inventory purchases, hire staff, cover operating expenses, purchase equipment and supplies, or take advantage of immediate business opportunities. Peer-to-peer loan companies use crowdsourcing to match up investors with qualified borrowers. They serve as intermediaries, charging reasonable fees for processing and approving applications, publishing them for potential investors to consider, funding the instant business loans and disbursing funds to borrowers, collecting payments from borrowers, and repaying the investors. For borrowers, the process is easier, interest rates are typically lower, and approval is far more likely than it would be with a traditional loan company. Bitbond, based in Berlin, Germany, uses bitcoin as a payment network, enabling it to operate globally with no currency conversion concerns, which facilitates seamless international transactions. To date, Bitbond has users from more than 120 countries. Loans are available in amounts up to $25,000, with interest rates starting at 12% per year and terms of six weeks, six months, 12 months, or 36 months. There is no penalty for early repayment, although there is no early payment option for loans with a term of six weeks. Six-week term loans are repaid in a single payment upon maturity. All other loans are repaid in fixed monthly instalments. Bitbond is an ideal source of financing for eBay and Etsy sellers and other e-commerce businesses. Because such borrowers often have difficulty proving their creditworthiness based on credit bureau information alone, Bitbond takes into account online transactional data from sources like eBay, Amazon, Etsy, MercadoLibre, Shopify, PayPal, bank accounts and others. Lending Club, which is publicly traded on the NYSE, is the largest peer-to-peer lending platform in the United States. It offers business loans of $5,000 to $300,000 with 1-5 year terms, fixed monthly payments, and no prepayment penalties. The total APR, including origination fee, is 7.77% â€“ 35.11%. Lending Club also offers business lines of credit of $5,000 to $300,000, which can be accessed as often as needed. Each draw is paid back over 25 months, with no prepayment or hidden fees. Monthly payments include any draw fee(s), interest, and 1/25 of the amount borrowed. Business lines of credit carry a variable interest rate from 6.75% to 22.35%. The fixed draw fee (1%-3%) is based on the borrowerâ€™s credit standing at the time of application. Approval criteria are: 2+ years in business; minimum $75,000 annual sales revenue; no recent bankruptcies or tax liens; minimum 20% ownership of the business; fair personal credit or better. Prosper does not offer business loans, but rather makes unsecured personal loans from $2,000-$35,000 for use in starting, operating, or expanding a small business. The business owner must submit the application using personal credit history (average or above average credit) and is responsible for paying back the loan. The loan term is either three or five years with fixed monthly payments and no penalty for early repayment. The APR ranges from 5.99% to 35.99% for first-time borrowers, depending on personal credit standing at the time of application. Like Prosper, Upstart issues loans to individuals, not businesses, though the funds can be used for business purposes. Loans range from $1,000 to $50,000, though higher minimum loan amounts apply in Ohio and Massachusetts. Both three-year and five-year terms are available. Borrowers may choose the repayment method: automated recurring payments, or payments by check or one-time electronic payments. The APR ranges from 7.16% to 29.99%. In making loan decisions, Upstart takes into account the borrowerâ€™s education, area of study, and job history in addition to the FICO score and length of the applicantâ€™s credit history. 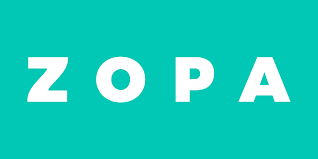 Zopa, which pioneered the peer-to-peer lending concept, offers personal loans from Â£1,000 to Â£25,000 to UK residents, with terms of one to five years and APRs ranging from 3.0% to 34.9%. There is no penalty for paying off a loan early or for making extra payments, which will reduce the amount of the remaining monthly payments. A Zopa loan may be used for business purposes, but only by sole proprietors. A borrower must have been a UK resident for at least three years, have employment or retirement income of at least Â£12,000 per year (pre-tax), have an acceptable credit history, and be deemed capable of repaying the loan. RateSetter is currently the largest UK peer-to-peer lending platform. It offers business loans from Â£25,000 to Â£750,000 to UK operating and owned sole traders, partnership, limited companies or limited liability partnerships that have been in business for at least three years. These loans require submission of financial statements for the business. Borrowers seeking less than Â£25,000 must apply for a personal loan as a business owner. Business loans are for three months to five years, with capital repaid over the term of the loan. There is no penalty for early repayment or for making extra payments. Borrowers must be at least age 21 and a UK resident for at least three years, with a UK bank account, a regular source of income, and good credit. Bondora makes personal and business loans in amounts from 500â‚¬ to 10000 â‚¬ to borrowers in Estonia, Finland, and Spain. Loan repayment terms vary from 3 to 60 months, with fixed monthly payments. The APR ranges from 20.04 % to 57.12%. Applicants must be at least age 21 and have employment income sufficient to cover all monthly expenses, a good credit history, and no history of gambling problems. Borrowers must establish a Bondora account that is linked to a verified bank account to facilitate funding the loan and automatic deduction of payments. Younited Credit is a French company that was founded in France and began doing business in Spain as well in 2017. Personal loans from â‚¬1,000to â‚¬40,000 are available. The five standard loan terms are: 24 months, 36 months, 48 â€‹â€‹months, 60 months and in some cases 72 months. The amount of each fixed monthly payment depends on the amount borrowed, loan maturity and nominal rate. Borrowers must be between the ages of 18 and 75 and meet approval criteria comparable to those of traditional lenders. Aux Money is Germanyâ€™s biggest peer to peer lending platform. It offers loans from â‚¬1,000 to â‚¬50,000, with terms of 12 to 84 months. The current APR is approximately 19.5%. A self-employed individual or entrepreneur with good credit can get a personal loan funded within 48 hours, with no business plan required. German law requires that crowdsourced loans be paid out and repayments be made through a partner bank. Lendico is a Berlin-based multinational peer to peer lending platform operating in Germany, Spain, Poland, Austria, and South Africa. Lendico makes loans to individuals and to small and medium-sized businesses (SME loans) in amounts ranging from â‚¬1,000 to â‚¬150,000 (in German) for one to five years, with no penalty for early repayment. Interest rates start at 2.99% and are determined on a case-by-case basis taking into account the loan amount and the borrowerâ€™s credit standing and debt-to-income ratio. Cashare is a Swiss peer-to-peer lending platform that makes personal and SME loans in amounts from â‚¬1,000 to â‚¬1M with terms of six months to five years. Interest rates typically are in the range of 7.7% to 9.9%. For personal loans only, life insurance is required for borrowers ages 65 and under. There is no penalty for early repayment. Borrowers must be Italian residents of legal age, but under the age of 75 at the end of the loan term. They must have demonstrable income from employment, self-employment, or retirement pay, and must have a credit history with no serious defaults or excessive debt. Creditworthy borrowers are assigned to a credit rating class (Conservative, Balanced, or Dynamic) to enable potential lenders to make an informed decision that matches their appetite for risk.